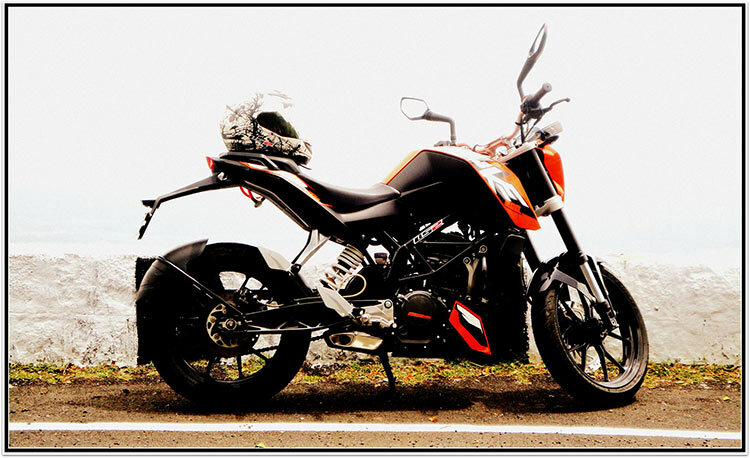 We have covered extensively about KTM Duke bikes in our automobile portal. 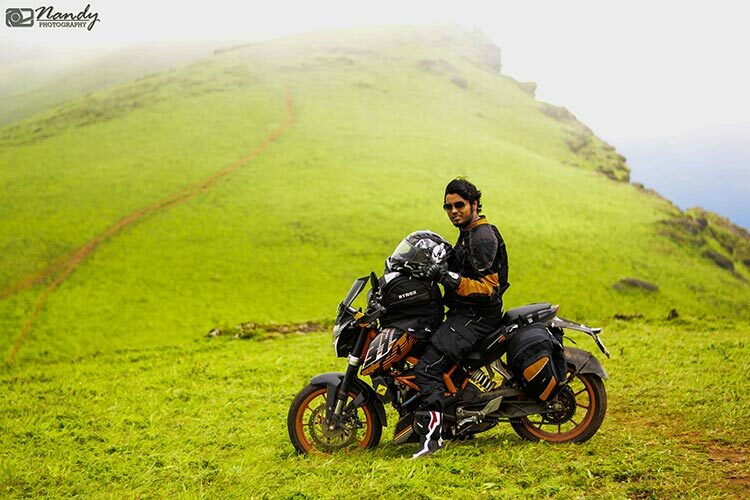 Today, we are covering Mr Atul’s story of owning KTM bikes and his experience with it. 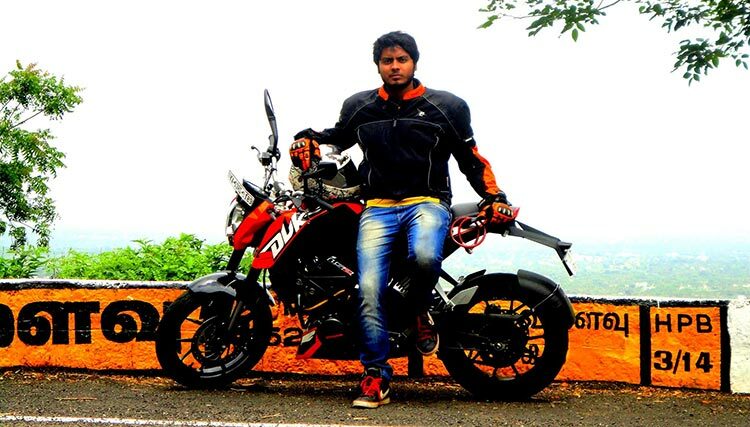 We framed few questions to know Atul’s experience with KTM Duke 200 and KTM Duke 390. Read on, to know more! Since how long are you familiar with KTM brand? I guess it was the month of September, 2012 when KTM came to our office campus for displaying their bikes. 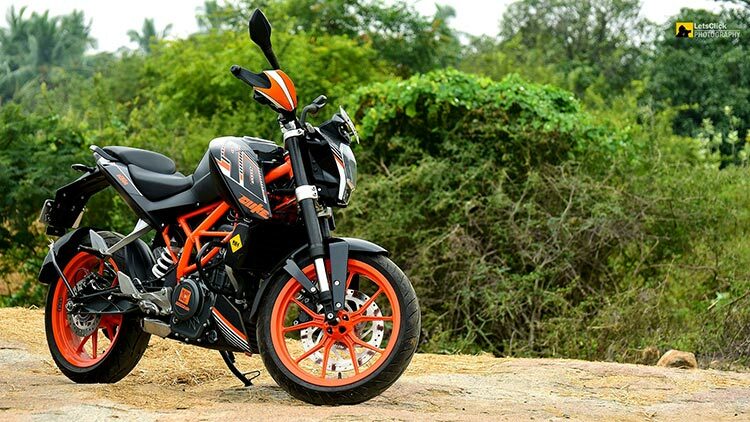 At that time they had just came to Bangalore and they had only one model in their lineup, the KTM Duke 200. After a short test ride, I was awed with this bike. The eye candy orange looks, the insane burst of power, everything about this bike made me drool about it and I took the KTM Duke pamphlet and pinned on my cubicle dreaming of the day I am going to own one. And after nearly 10 months, this dream came true and I was a proud owner of an Orange KTM Duke 200. 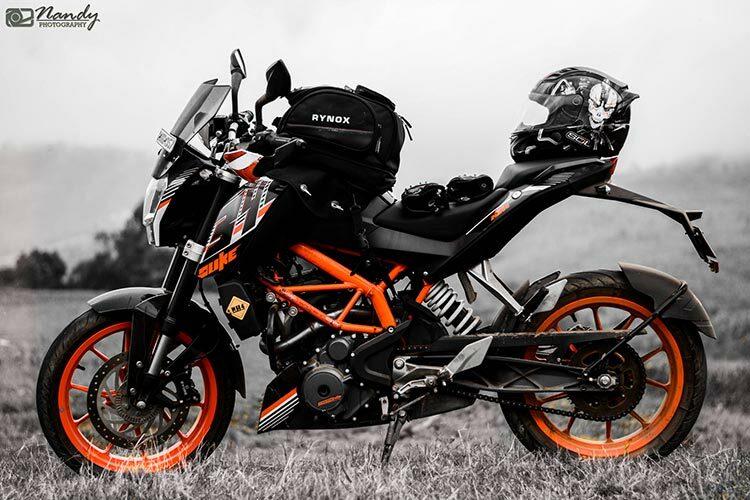 It was not long until KTM as a brand became a huge hit in the Indian biking scene and they launched their much awaited pocket rocket KTM Duke 390. 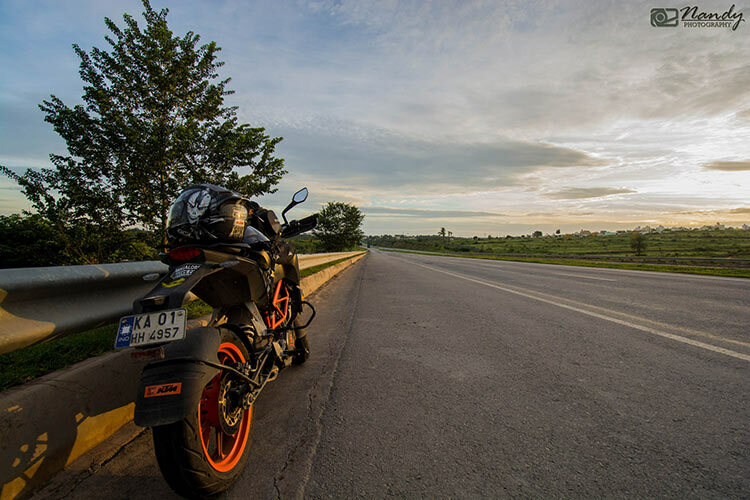 Being a KTM Duke loyalist we know you love the bike… We would like to know, what is that thing which makes you KTM Duke so special? Its really difficult to put this down in words. Everything about this bike, the looks, the power, the gadgetry, the ergonomics, everything is just perfect. At 150 kg of kerb weight and 44 bhp of eye popping acceleration, the power to weight ratio of this bike is 300 bhp/tonne, which is more than a Aston Martin Vantage DB. Now that’s definitely something special. With great power, comes great stopping power, ABS, Metzeler Super Soft Compound tyres that too in just 2.17 lacs On-Road Bangalore, what more can you ask for. KTM has definitely brought the performance biking scene in India to a whole new level. Tell us about, its looks, style? The bike has a very neat as well as aggressive styling. The wide handlebars provide excellent control as well as flickability in traffic. The sculpted fuel tank designed to accommodate the rider’s legs. The hard but comfortable seat provides upright seating position. The minimalistic tail section makes it look really neat. Also, the insect/alien resembling headlight, the led turn indicators and the led tail lamp all of it gives this bike a unique character than no other. The orange trellis frame along with the beautiful looking aluminium swing arm provides amazing control and Oh yes the orange, how can anybody not notice the orange, the trademark color of KTM is splashed all over the bike without any compromises. Have you attended Orange day conducted by KTM in the past .. If yes … How was it? I have attended quite a few Orange Days and they are a must see for any KTM owner. It feels really special to be part of the KTM family. Orange Day is one of the days when you can see almost all the KTM’s of a city and we are talking about a lot of orange bikes here, I mean a lot. There is are races, stunt shows, music dance, food and drinks organised. New KTM bikes are on display, you can click pictures with them. 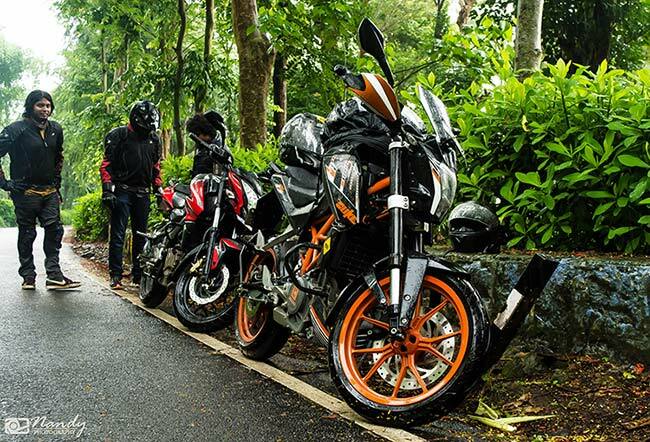 The best part is you can get your friends along who are non-KTM owners as well, only thing required is one KTM bike. But after attending so many of Orange Days, I kind of started skipping a few since the same thing happens all over again on every Orange Days. But one should at least attend an Orange Day once to truly understand how special it is to be part of KTM family. 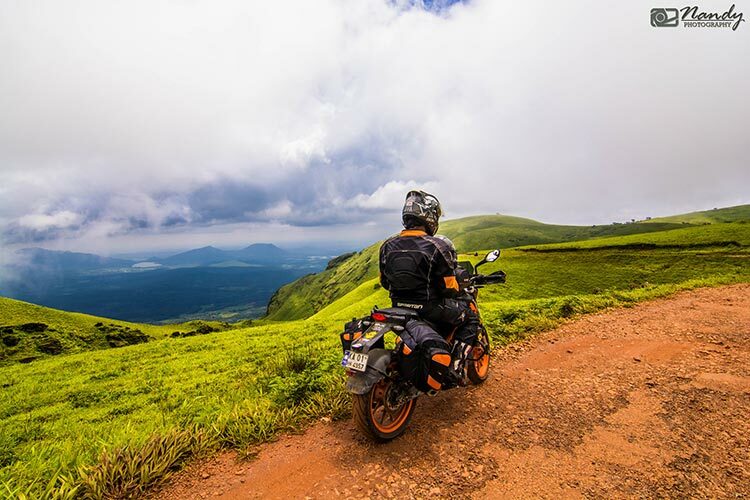 Have you done a road trip with your bike? If yes, can you tell a bit more about it.. Yes, quite a few. On my Duke 200, as I mentioned earlier, those 20000 kms included many trips to hill stations, beaches, offroad trails, long straight highway runs to quite a few destinations. Well on Duke 200, cruising speeds used to be from 90-100 km/hr and it used to be quite comfortable. Also, my 200 used to give an impressive mileage of around 40-45 km/litre. Now things became a lot quicker and a lot more fun. On my Duke 390, the distances used to get covered quicker but the bike used to become thirstier more often. Duke 390 is meant for touring thanks to its taller gear ratios and ability to cruise at high triple digit figures. With the super sticky Metzeler tyres corners are a breeze. 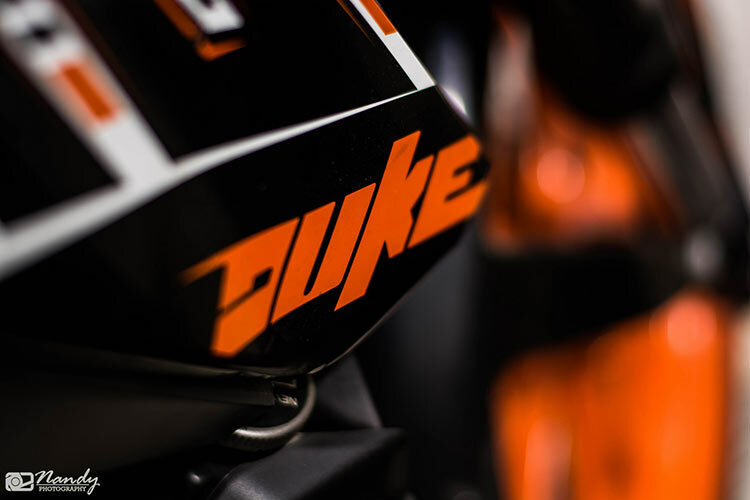 So if you are a tourer and are willing to sacrifice a bit on the mileage front, then Duke 390 is the way to go. KTM has equipped Duke/RC 200 with pretty impressive MRF tyres which tend to give ample amount of feedback to the rider. They are decently stable on the corners as well. On the Duke/RC 390, KTM has given with Metzeler Sportec M5 tyres which are legendary in terms of road grip and stability. One can achieve insane lean angles with these tyres and maintain a pretty good speed while doing so. If you look at the 200 and the 390 side by side, there isn’t much of a difference apart from the hand guards and the uncompromising use of orange color and graphics. The real difference lies under the hood so to speak. The power delivery is very different in both the bikes. While 200 has very short gear ratios and has a madness about it, the 390 feels a lot more relaxed and mature in those terms. Duke 200 is best for city rides and 390 is best for highways. There is a heating issue with Duke/RC 390 which crops up in city bumper to bumper traffic. On the contrary Duke 200 feels at home in city traffic and also does a decent job on the highways. KTM Dukes have changed the biking scene like Bajaj Pulsar did a decade ago. It’s a purely performance oriented bike for the enthusiast rider. And then people like us can certify it as the perfect touring machine. People can do a lot of nit picking saying Dukes have very hard seats and puny fuel tank for touring, but those are things you can live with. The seat is surprisingly very comfortable for touring IMO and there should’nt be an issue with the fuel tank range unless you are going to Ladakh every week. 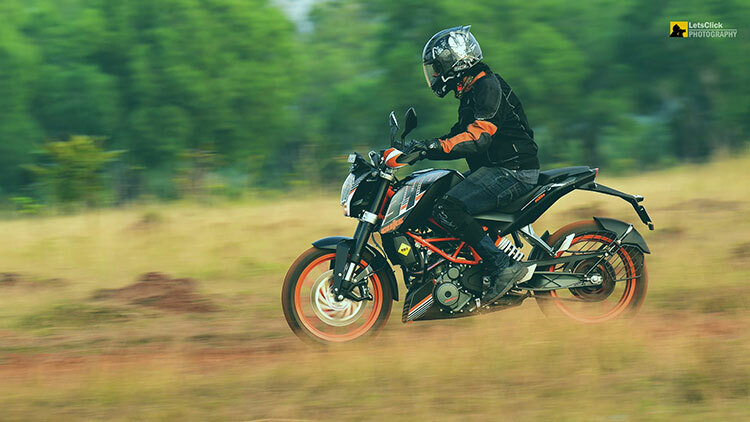 KTM Dukes are a perfect blend of practicality, performance and pure fun, period. Why not Royal Enfield? 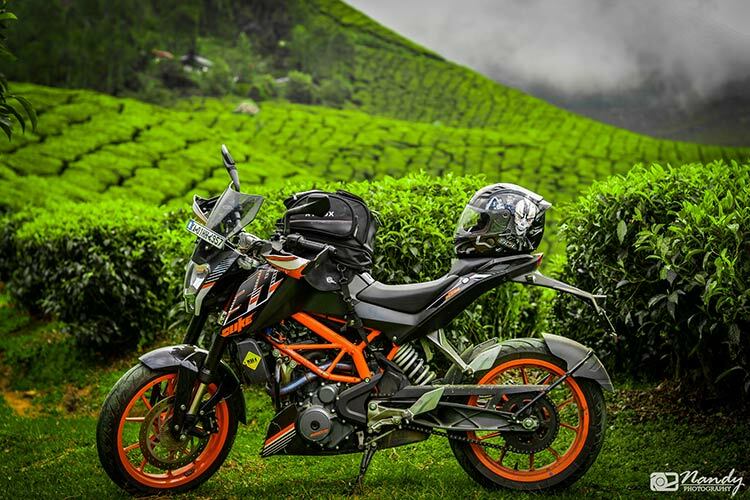 Why KTM Duke? I personally don’t like RE bikes. No offense to the RE riders or fanboys so to speak but folks working at RE need to understand that people are having more and better options nowadays and they can’t keep selling bikes just on the cult following. There was a time when people had very limited choices and the best you had was a Royal Enfield so naturally people took the plunge of buying an RE. But if you see currently in the market there are lighter, better, safer, performance oriented and reliable bikes unlike RE. Also, the waiting period of an RE is like an year or so in which a person can buy a bike and sell it and buy another if know what i mean. RE bikes just don’t make any sense in the present biking scenario. Who needs a 200 kg all metal bike which has so many issues like rusting, oil leaks, clunky gearbox to name a few. But then buying a bike is completely a personal decision and i respect people’s choices be it an RE or a KTM. Mileage of your bike? How big is the fuel tank? Duke 200 used to give 35-40 kmpl in the city and 45 on the highway when ridden at 80-90 kmph. Duke 390 gives somewhere between 25-30 kmpl in the city and 20-25 kmpl in bumper to bumper traffic. On the highways Duke 390 will give around 30-33 kmpl when ridden sanely at about 110-120 kmph. But if you decide to go ballistic then let’s not even talk about the mileage, eh. The fuel tank on both the bikes is of 11 litres which is actually a negative considering the bike’s mileage and long distance touring capabilities. Riding comfort and overall KTM Duke experience? It’s suprisingly comfortable, maybe it’s just me but i have been a loyal KTM user for close to 3 years now and i can certify that the hard seat is actually pretty good for touring and amazing for trackdays. Yes it can do with a bit more padding which i think has been addressed in the new 2015 models. Overall its a very comfortable bike considering the seating position and ergonomics of the bike. I am 6 ft tall and tour with pillion and saddle bags and tank bags and my verdict is that bike is pretty comfortable. Maybe a bigger pillion seat can make things lot easier for the pillion but hey my pillion doesn’t complain so i am good. What bikes do you think KTM should make in future to satisfy performance bike riders? KTM as a brand is mainly known for their adventure bikes and the street bikes. 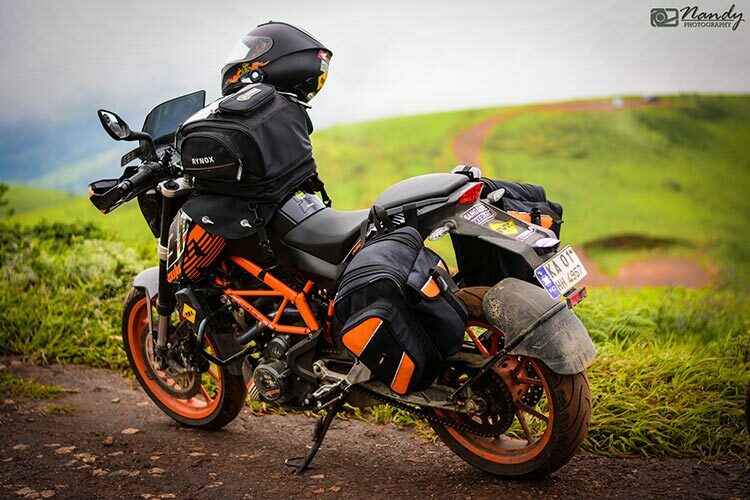 Since the street bikes are already here, so its about time KTM introduces their adventure bike range in India. The touring crowd is increasing day by day and people want more touring focused bikes which can handle off road when given a chance. 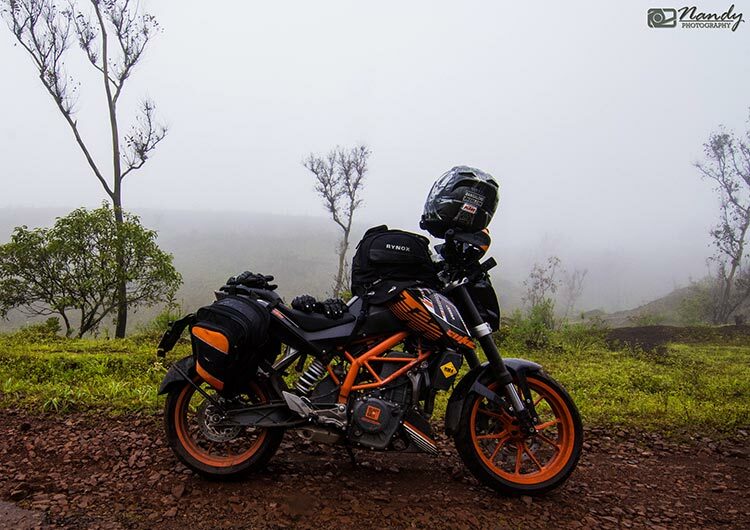 We hope KTM fans and readers of our blog enjoyed reading these fantastic details about KTM Duke bikes and all the riding experiences. 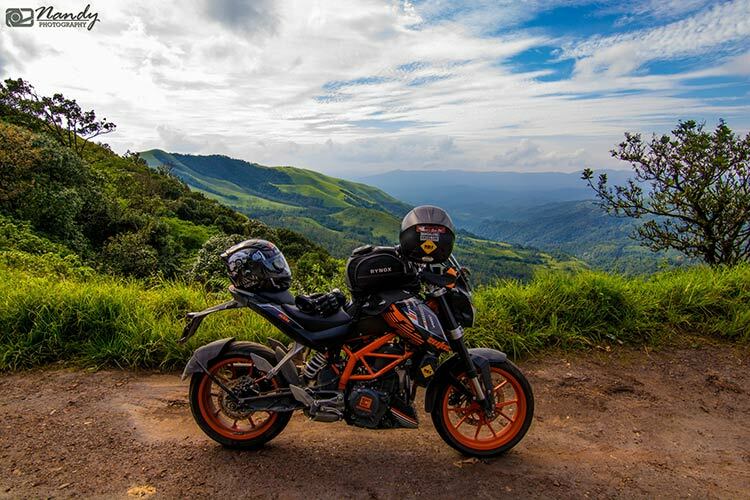 You can too share your KTM Duke experience, do write to us! And do not forget to leave your opinion in the comment section.